Individuals violating the law prior to their 17th birthday may be brought into the juvenile justice system. Delinquency cases are not “criminal” matters, although they are based upon behavior that violates a criminal statute. The focus of the Family Court is rehabilitation and treatment. Following a police investigation which results in the request for charges, a Juvenile Division Assistant Prosecuting Attorney will review all reports submitted by the police to determine whether probable cause exists to warrant court action and intervention. If so, the prosecutor authorizes a petition, officially charging the juvenile. The petition is then filed with the Circuit Court’s Family Division. This officially starts the court process. The first court hearing following petition authorization and acceptance by the court is known as a preliminary inquiry. This hearing is the juvenile equivalent of an adult arraignment. The juvenile is read the charges and constitutional rights. If the juvenile is in court custody the matter of bond will also be addressed at this hearing. At the preliminary hearing a Pre-Trial Conference will be scheduled. The hearing provides the prosecuting attorney an opportunity to discuss all options with the juvenile’s family or attorney. Many cases are resolved by way of a plea agreement at this hearing. If the case cannot be resolved it can be scheduled for a bench trial (before a judge or referee), or a jury trial (before a judge). Crime victims and the officer in charge of the case are encouraged to attend to allow the prosecutor to involve those individuals in case resolution. If the juvenile enters a plea of responsible, or is subsequently found responsible following trial, the juvenile is deemed adjudicated. Once adjudicated the juvenile is a court ward, subject to court orders. Order participation in a variety of programs including counseling, school programs, or after-school activities. Order the parents or guardians to participate in programs where appropriate, and refrain from conduct harmful to the juvenile. Order the juvenile and parents to pay any restitution to the victims of the delinquent behavior. 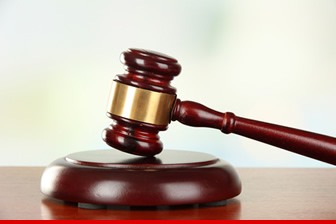 Assess fine and court costs consistent with the fine indicated by the statute or ordinance violated. Crime victims have an absolute right to attend dispositional hearings. Victims must be afforded the opportunity to address the court to explain physical, psychological or emotional harm suffered by the victim. The victim may also request compensation for any economic harm or property damage attributable to the juvenile’s behavior. The victim may also request the court impose certain terms of disposition.